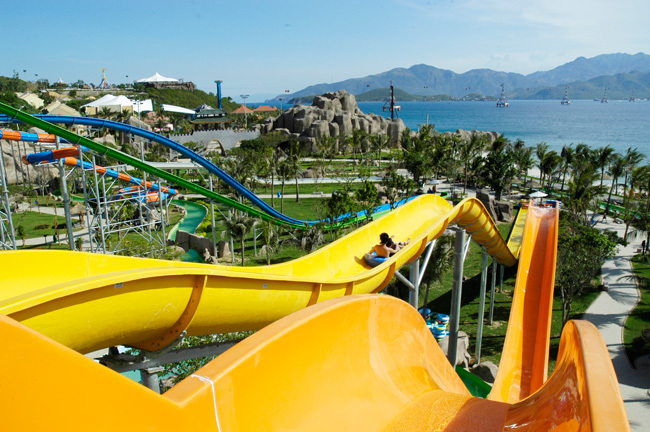 Formerly known as Vietnam Pear Resort, Vinpearl Land is a huge five-star hotel resort and spa located in Hon Tre Island, which is two miles away from the coast of Nha Trang. For many years, this resort has been one of the top choices among locals and foreigners searching for family-safe accommodation to stay in near Nha Trang. The well-trimmed grounds, excellent room accommodation, ocean view and the various recreational activities to do in Vinpearl Resort and Spa make it an ideal stop for the whole of Central Vietnam.